We’re seeing a significant shift in the way that people today want to interact with technology, whether that’s a virtual assistant in their homes, or in their cars. These assistants need to interact with people in the same way we interact with each other. A key element of human communication is the ability to convey complex emotions and cognitive states, through non-verbal expressions from face and voice. So how do we emulate this in technology? How do we build advanced AI-based interfaces that not only detect complex human mental states, but adapt to humans in real time, displaying their own emotional intelligence and social skills? Affectiva and Nuance are collaborating to deliver the next generation automotive assistants, that are highly relatable and adaptive, interacting with people as they interact with one another. These next-generation HMIs will have a significant impact on road safety and the transportation experience in the years to come. Dr. Rana el Kaliouby is the Co-Founder and CEO of Affectiva. Affectiva spun out of MIT Media Lab and is the pioneer of Emotion AI, a category of Human Perception AI that can detect complex and nuanced human emotions and cognitive states from both face and voice. Affectiva has been in market with commercial products since 2010, and its Emotion AI is humanizing technology across verticals. In this webinar Dr. el Kaliouby will outline why we need human perception technology such as Emotion AI. She will explain how the technology works, how the deep learning-based models are built, and where they are being used. She will then deep dive on the applications in automotive. Join our webinar to learn how Emotion AI can create truly humanized interactions between people and their automotive assistants! We know you’re busy, if you can’t attend, just simply register and we’ll send you a recording following the event. Rana el Kaliouby, PhD, is co-founder and CEO of Affectiva, the pioneer in artificial emotional intelligence—Emotion AI. 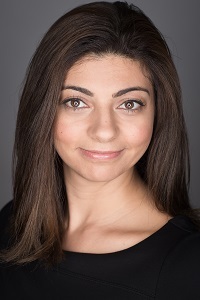 Rana led the innovation of the company’s award winning technology, which uses deep learning and massive amounts of data to analyze complex and nuanced emotions and cognitive states from face and voice. Prior to founding Affectiva, Rana was a research scientist at MIT Media Lab where she spearheaded the applications of emotion recognition technology in a variety of fields, including mental health and autism research. Rana holds a BSc and MSc in Computer Science from the American University in Cairo, a PhD from the Computer Laboratory at the University of Cambridge and a Post Doctorate at MIT. Rana is one of few women leading a disruptive AI company. A Muslim-American and passionate advocate, she frequently speaks in press and on stage, about innovation, women in technology, ethics in AI and leadership. Fortune Magazine recently included Rana in their 2018 40 under 40.